Summer, 2015: Last summer my brother Barry and his wife visited our home in Victoria during which my husband and he played several games of crib each day. It was a highly competitive affair where one Fifteen-Two might be the difference between winner or a loser. The bantering about who was the better crib player continued over several days with each claiming the overall title. After the couple returned to Edmonton, Harold and I could not find the crib board and cards fro the life of us. Then, one day, we spotted it sitting in fireplace which had not been used all summer long. For Christmas 2015 we decided to complete the task Barry had started and decided to gift the crib and cards to him. After starting the fire we touched up the board and cards just a smidgeon and mailed to his Edmonton home along with the following cover poem. 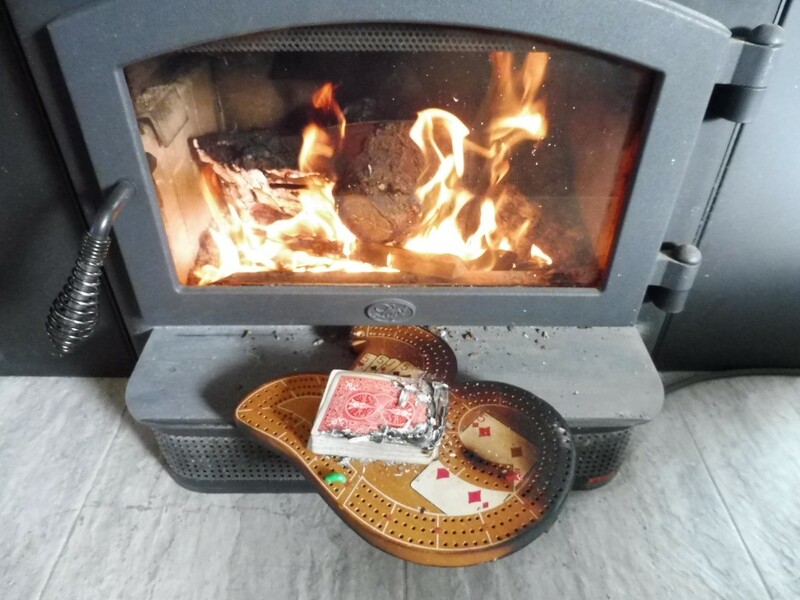 To relinquish our crib board to the roar of the fire! And the next round of cards, your wishes fulfill!